We’re all guilty of allowing old furniture and possessions to accumulate over the years – but what happens when you need to get rid of them? . Go Rubbish Go. is here to solve all of your junk removal problems! We offer our rubbish clearance in Barnes, SW13 ranging from property clearance to garden clearance services. Whether it is assistance with furniture disposal that you need, or even help with builders waste clearance – our professional staff members are trained specifically to get the job done for you, at the highest of standards. We work as a team to clear any space you need, saving you time and effort. By hiring our Barnes waste removal , you will also save yourself money that may otherwise be wasted on skip hire and a skip permit. When disposing of your old possessions, we aim to have them re-used wherever possible in an attempt to protect the environment from unnecessary waste. We work hard to ensure that all of our methods are as environmentally friendly as possible and take into consideration all waste disposal regulations, so you can rest assured that our waste disposal SW13 is causing no harm to your surroundings in the SW15 region. If an efficient team of house clearance professionals is what you need, call us today on 020 8610 9182 for a free quote or to book! Looking For A Professional Barnes Waste Collection Service? We Are Here To Help! Clearing junk from your property can prove to be exceptionally hard work without the aid of the necessary skills and equipment. Our SW13 team of professionals work hard to ensure that your every waste removal need is met. 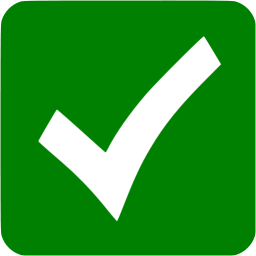 We understand that you don’t have time to wait around, so as a team, we work on a tight schedule to ensure that our waste collection in Barnes is completed as quickly and efficiently as possible. Hired their waste collection in Barnes and I am really satisfied with the result. They did the job in a jiffy without wasting my time. The price I paid was really low compared to the quotes I had received from other companies. Will hire again! 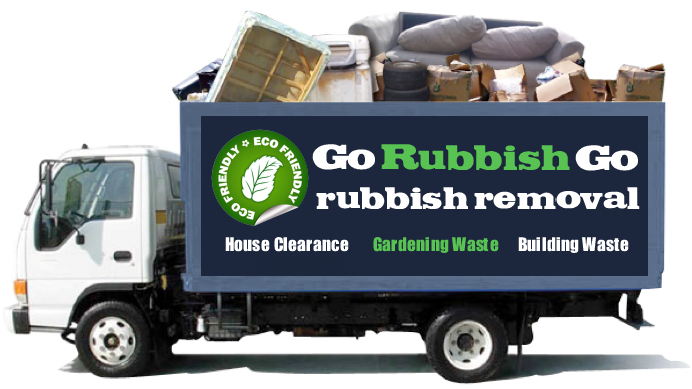 Hire The Best Rubbish Clearance In Barnes, SW13! Our standards and results will not be beaten elsewhere. 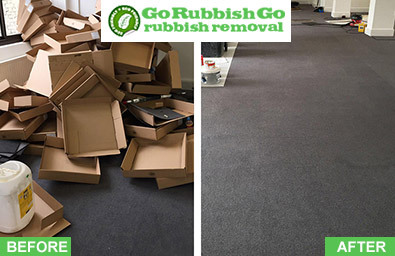 Our years of experience mean that as a company, our Barnes rubbish removal methods are tried and tested, so you can rest assured that our skilled professionals know exactly what to do to leave you with the high standards you expect. As a team, we are trained and experienced in carrying and manoeuvring heavy furniture and equipment in the SW14 area, and know exactly how to dispose of all different types of materials. 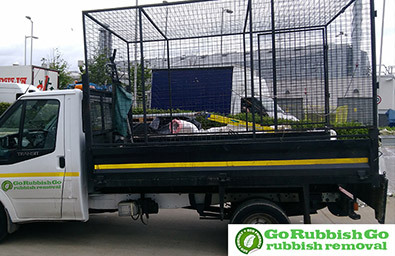 If you feel that you, your home, or even your garden would benefit from Go Rubbish Go.’s services, call us today on 020 8610 9182 for a free estimate or to book our SW13 waste clearance. Why Should You Hire Our Rubbish Clearance in Barnes, SW13? 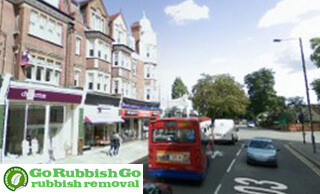 You may wonder what exactly sets us apart from every other SW13 rubbish disposal Barnes company out there. Well, the real difference between us and the many others is that we truly care about our clients. That’s the secret. While others claim they do, they really don’t meet up to what they claim. The thing with us is that we do! And that is why our clientele is constantly rising. More and more people are becoming aware of our amazing quality waste disposal services and they want to take advantage of them. So call 020 8610 9182 now if you would like to hire us. Get the best deal now! Barnes can be found within the London borough of Richmond upon Thames. One of the area’s attractions is the independent cinema – Olympic Studios. The building has a lot of history as it was previously a recording studio that hosted The Beatles, The Rolling Stones, David Bowie and Queen. Apart from that claim to fame, the area also boasts Bolan’s Rock Shrine, in the spot that rock musician Marc Bolan got in a fatal car accident. Both of these attractions are big contributors to the area’s level of tourism. Another of Barnes’s best known attractions is the London Wetland Centre where nature enthusiasts can go to spot all types of wildlife in a beautiful nature reserve. Besides this, the area has its very own Riverside gallery full of fine art that is changed and updated on a regular basis to keep visitors entertained throughout the year.